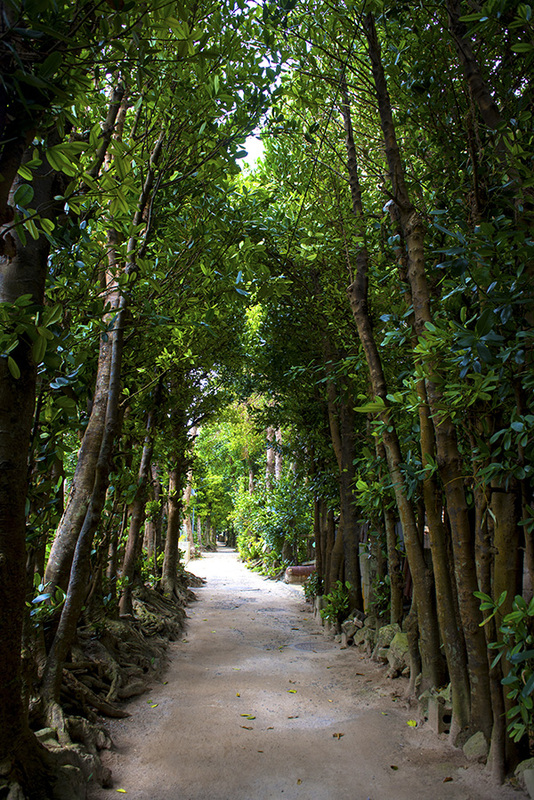 Bise is a picturesque village famous for its fukugi trees, located near the Okinawa Churaumi Aquarium. There are nearly 230 houses in the village area, which is divided like a chessboard, with most of them surrounded by a dense cover of fukugi, scenery once commonly seen in most Okinawan communities. 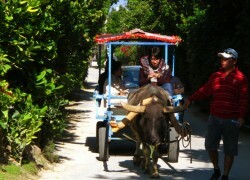 It is one of the few places on the island where you can ride in a buffalo-drawn cart, an experience normally found only on Taketomi Island. You can enjoy a tranquil moment while traveling leisurely along unpaved white-sand streets with the gentle sun filtering down through the fukugi trees.